CBC’s Sunday Edition recently interviewed former Chief Justice Beverley McLachlin prior to her retirement. Chief Justice McLachlin reflected on her own career, as well as the legal system at large. Chief Justice McLachlin emphasized the need for “conscious objectivity” in the legal system: “The job of a judge is not to simply say, ‘I like this person better than that or I like this story.’ You have to give everyone a fair hearing, and that means not just listening passively but trying to understand what their problem is, where they are coming, and why they acted the way they did.” Judges must understand a dispute completely in order to determine the appropriate outcome. Chief Justice McLachlin discussed the importance of the Charter of Rights and Freedoms. She noted that the Charter empowered courts to examine if legislation breached individuals’ rights or freedoms; when a breach arose, the Charter declared that the legislation was null and void to the extent of the conflict. 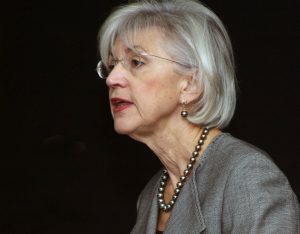 Chief Justice McLachlin acknowledged concerns about judicial activism, but she assured that courts ensure their rulings are “not disruptive to society.” Courts can delay when a legislation is deemed null and void in order for the legislature to have enough time to pass new legislation and thus avoid a legislative vacuum. Chief Justice McLachlin stressed that the Charter has become “quite popular and highly supported” by most Canadians as well. Chief Justice McLachlin re-iterated the Canadian state has perpetuated cultural genocide of Indigenous Peoples. She described government policies as “the undermining or attempted annihilation of a culture.” Government policies have forbidden Indigenous practices, as well as forcibly placed Indigenous children in Indian Residential Schools. Chief Justice McLachlin suggested that the legal system must move beyond an adversarial system and embrace alternatives, particularly for Indigenous youth who commit minor crimes; otherwise, vulnerable individuals are placed into the system and driven towards more crime. She added that early intervention could stop Indigenous children from coming into contact with the system completely. • Daniels v. Canada, where the Court declared that non-Status Indians and Métis are “Indians” for the purposes of s. 91(24) of the Constitution Act. Looking at the jurisprudence affecting Indigenous Peoples, Chief Justice McLachlin’s stance has changed over time too. Early in this role, Chief Justice McLachlin wrote the Mitchell decision that found insufficient evidence to support finding the Mohawks of Akwesasne had a right to cross-border trade. Her conclusion put an undue burden on Indigenous Peoples to prove their rights. But over time, Chief Justice McLachlin recognized other Aboriginal rights. She authored the Tsilhqot’in decision that recognized Aboriginal title. She entrenched the idea that the Crown has a duty to consult and accommodate Indigenous Peoples. In that sense, I believe that Chief Justice McLachlin has created some space for the Crown and Indigenous Peoples to enter a more respectful dialogue. Most striking is that Chief Justice McLachlin acknowledged that Canada has committed cultural genocide against Indigenous Peoples – a controversial statement given her position and the prevailing sentiment at that time. Her willingness to speak truth to power is a call to action for us, as law students and lawyers, to work harder at ensuring that the legal system is truly fair for all peoples. Catherine Ma is a 2L JD Candidate at the Faculty of Law and the co-leader of the Asper Centre’s current Indigenous Rights student working group. This entry was posted in Commentary, Supreme Court of Canada. Bookmark the permalink.